Shin Mold Precision Industry Co, Ltd.
A State-of-the-Art Mold Supplier, Manufacturing Die Casting Molds And Plastic Injection Molds. 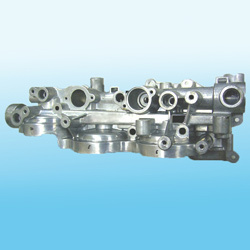 Die casting tools for aluminum die casting parts, in automobile range. Mold flow simulation analysis, CMM (3D measuring).